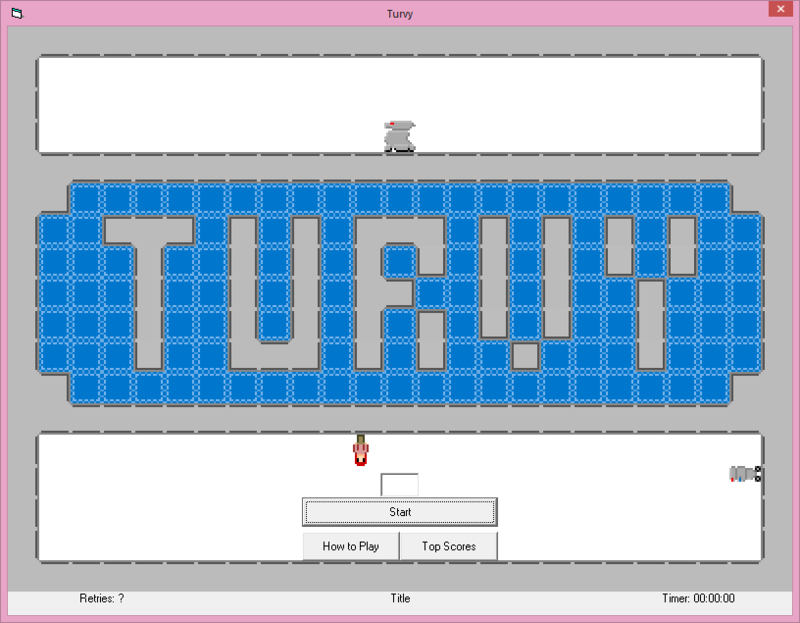 An idea drawn from Terry Cavanagh’s VVVVVV, the player is tasked with helping Tina “Topsy” Turvy to reach the each level’s exit by shifting gravity in any of four directions, and using this ability to avoid the robots patrolling their little corner of the map and the shock tiles dotted around the place, both of which will electrocute Topsy and send her back to the start of the level. Topsy’s gravity manipulation is restricted to prevent the player from simply flying harmlessly through levels. Gravity cannot be shifted while Topsy is in mid-fall, and falling too far (more than two tiles) will result in her knocking herself senseless and returning her to the start of the level. 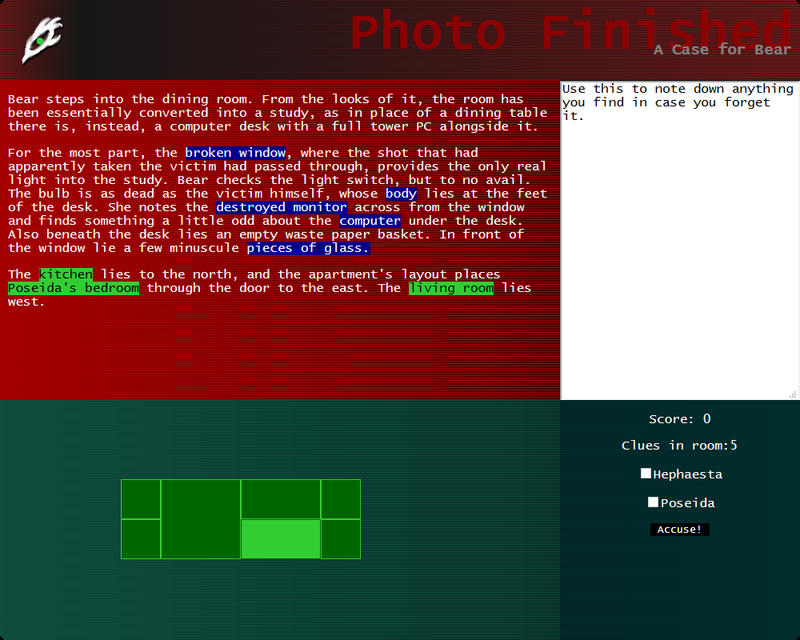 Developed for the module “Client-side Customisation of Web Pages”, Photo Finished is a small Browser-based text adventure (which possibly overly stretches the term slightly with its graphical UI) in which the player, in the role of an amateur detective in a small English village, must get to the bottom of a murder that has just occurred next door to a friend, and determine whether the two witnesses to the crime had a direct hand in events.